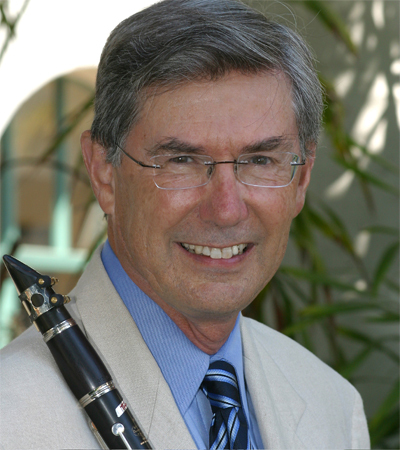 Fred Ormand, acclaimed as a leading clarinet pedagogue, also has been very active in the areas of performance and research. He played with the Chicago Symphony Orchestra and has performed as an extra clarinetist with the Cleveland and Detroit Symphony Orchestras as well as numerous regional orchestras. Solo engagements have included orchestras in the United States, Europe, and Asia. Recent music festival performances have been at Chamber Music Northwest and the Music Academy of the West. Twenty-two summers were spent at Grand Teton Music Festival and there have been numerous performances at International Clarinet Fests. Mr. Ormand began his clarinet studies with Robert C. Davidson, director of bands in Plainview, Texas. Davidson had been a student of Joseph Schreurs, principal clarinetist of the Chicago Symphony Orchestra. During these years he was first chair clarinetist in the Texas All-State Band for three consecutive years. He attended the University of Michigan where he studied with Albert Luconi, while earning his B.M. degree. Graduate study for a masters in woodwinds was with Keith Stein at Michigan State University. In 1963-4 he was a Fulbright Scholar at the Royal College of Music in London. While there he studied clarinet with Bernard Walton, principal clarinetist of the Philharmonia Orchestra and chamber music with Cecil Aronowitz. His final formal studies were with Robert Marcellus, principal clarinetist of the Cleveland Orchestra. Mr. Ormand retired from the University of Michigan School of Music, Theatre, and Dance in 2007, a position he has held since 1984. He was honored with the Harold Haugh Award for his outstanding work as a teacher of applied music. In 2002 he was presented with the Distinguished Alumni Award of the School of Music and in 2007, in recognition of his service, he was presented the Lifetime Achievement Award by the University of Michigan Band Alumni Association, an award presented only twice before. He has taught at several leading American Universities and in 1989 was visiting professor at the Shanghai Conservatory, where he attracted students from across China. In 1995 he gave an acclaimed series of master classes in England, Denmark, and Sweden. His former students have won positions in the Boston Symphony, The Cleveland Orchestra, the San Francisco Symphony, the Royal Danish Orchestra, the Kansas City Symphony, the Honolulu Symphony, the Naples Philharmonic, the Las Vegas Philharmonic, the Sarasota Opera Orchestra, the U. S. Army Field Band, the U.S. Army Band, and the United States Marine Band. Major universities have sought his students as teachers for their woodwind programs. In addition to teaching and performing, Mr. Ormand served as president of the International Clarinet Association from 1990 to 1992. A major research project of the last ten years has been the preparation of editions of the clarinet music of Amilcare Ponchielli. Recordings of these editions are available from Danacord Records, and are now receiving many performances by leading clarinetists. In 2001 he was invited by the city of Cremona, Italy, to participate in a symposium honoring the composer. His book The Single Reed Adjustment Manual is now used in leading universities and conservatories. Mr. Ormand has recorded for Equilibrium, Crystal, and Danacord Records. 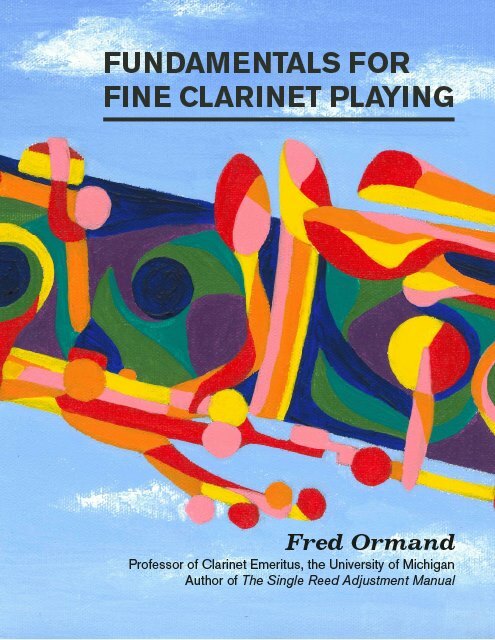 Mr. Ormand is the author of the essential guide, The Single Reed Adjustment Manual published in 2000. It is available from Van Cott Information Services, Inc. or from Luyben Music. Contact Fred Ormand for purchase. Il Convegno: Premiere Recording of Solo Works for Winds by Amilcare Ponchielli. Danacord Records: DADOCD 471. Extensions of the Tradition by William C. Banfield with Lynette Diers Cohen, Fred Ormand, Ellen Weckler, and Harry Sargous. Innova Recordings. Hindemith: Sonatas for Woodwinds with Fred Ormand, Leone Buyse, Harry Sargous, and Anton Nel. Available from Amazon.com. Of Shepherds, Romance and Love - 19th Century Songs for Soprano, Clarinet, and Piano with Julia Broxholm, Martin Katz, and Fred Ormand. Danacord Records - DACOCD 538; available by contacting Fred Ormand. Transcience - A Musical World of Works for Soprano, Clarinet, and Piano with Julia Broxholm, Martin Katz, and Fred Ormand. Equilbrium 85.